I clearly battle with insomnia, because I was up at about 3am (UK time) when I'm meant to be asleep and my twitter timeline was buzzin' with this new single from Chrisette Michele and rapper 2 Chainz. The grammy award winning artist is prepping for the release of her second mixtape due December 8th, the same day as her birthday (turning the big 30). 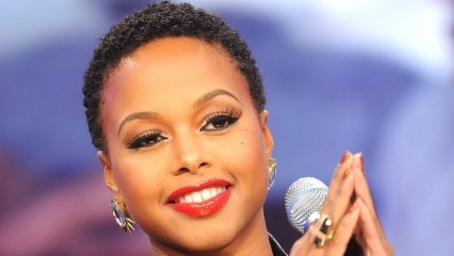 Not only that, but after two years of the release of her album Let Freedom Reign (classic) Chrisette Michele is working on her album Better which is scheduled to be released sometime this year. Audio Visual Presentation: Audrey Hepburn. Chrisette Michele blesses us with her soulful vocals on this single Charades - a song that I know will be on repeat for quite a while in my house and 2 Chainz delivers some fresh new bars. This song is hot! Listen for yourself!